Need some quick back-to-school tools to energize your staff for SEL and the Second Step Early Learning Program? 1½-minute video: What is SEL? 3-minute video tour through your Second Step kit: What’s in a Kit? 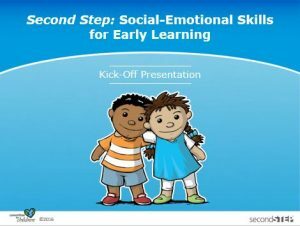 For a more complete staff training, use the online Kick-Off Meeting agenda and PowerPoint presentation available at SecondStep.org. You can find these items in the Staff Meeting Tools section while logged in. 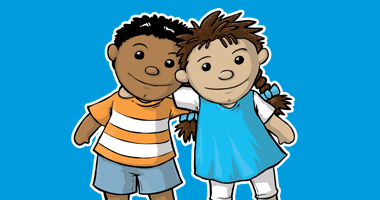 A happy school year starts with a solid foundation of social and emotional safety! 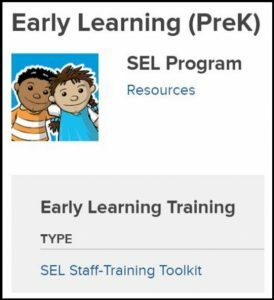 Go to SecondStep.org/My-Dashboard and click “SEL Staff-Training Toolkit” under the My Dashboard section.